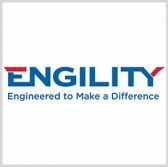 Engility has announced plans to grant additional scholarships to former U.S. military personnel through its CyberWarrior Scholarship Program. The company said Tuesday the next round of grants will help four transitioning service members receive cybersecurity certification training. “Through these scholarships, we’re not only providing veterans with a viable option as they reenter the workforce, but also putting them on the fast track to one of the most in-demand professions in the world,” said Engility CEO Lynn Dugle, a 2018 Wash100 recipient. The program is open to veterans slated to receive an honorable discharge by July 13 or active members of the National Guard or Reserve. Scholars will receive textbooks, study guides, practice tests, certification exam vouchers and ISC2-hosted Direct or Live Online seminar. Engility collaborated with the Center for Cyber Safety and Education to launch the scholarship program last fall.